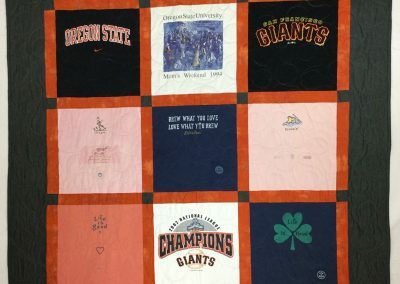 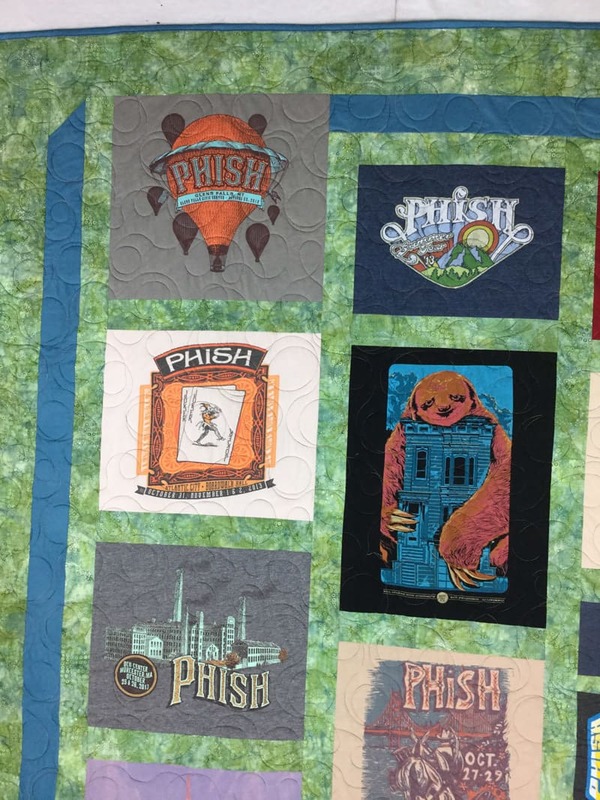 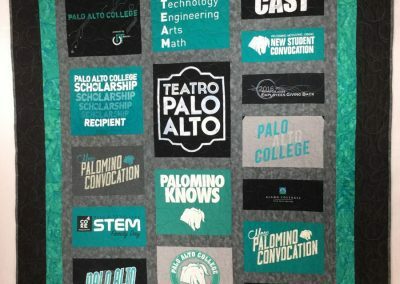 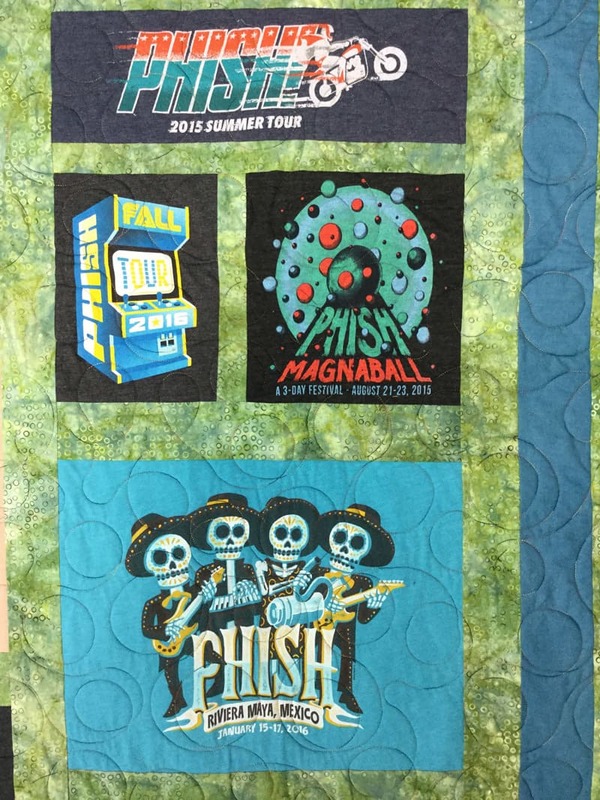 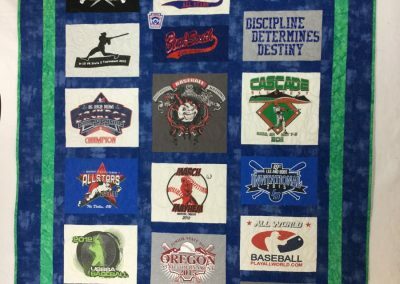 This quilt is a collection of 20 years of concert going for a true Phish fan. 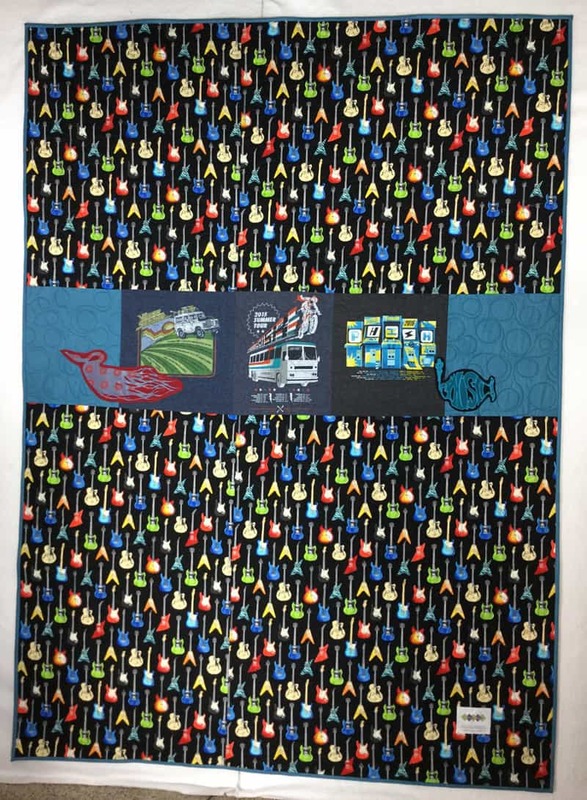 I chose to have the hot air balloons rise a little higher than the rest as a fun design element. 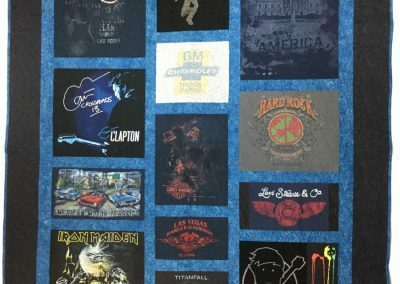 I used the part of the shirt that had the tour dates on the back of the quilt as well as an electric guitar fabric to complete the look. 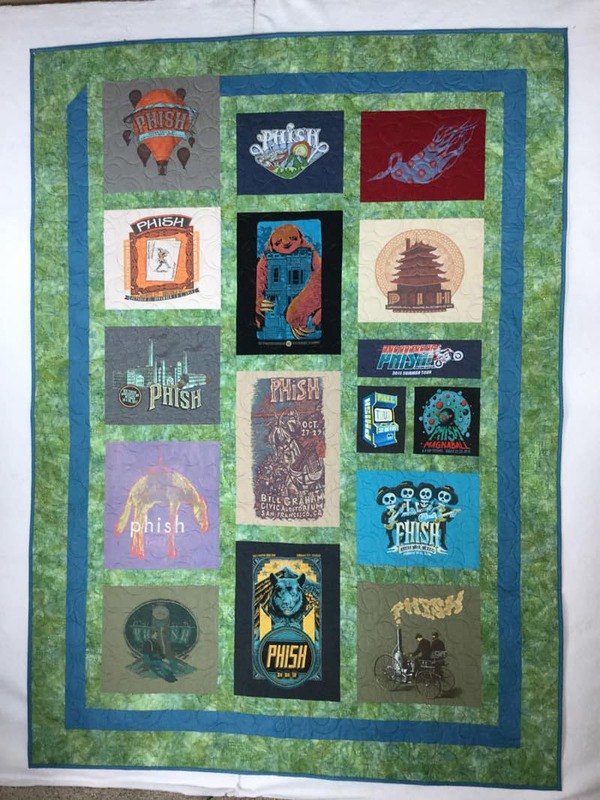 What concert memories do you have in your drawers?